Cindy Waszak Geary graduated from Hillside High School in 1973. She completed undergraduate and graduate degrees at the University of North Carolina at Chapel Hill and Northern Arizona University. She worked more than 30 years as a social scientist focused on global health, based in Chapel Hill, N.C., and traveling often to Africa and Asia as part of her job. She now lives in Baltimore, Md. with her husband Ron, where she consults for public health organizations, wrote much of this book, thinks a lot about racial justice and enjoys more time for yoga. She is the mother of two grown children, and has one granddaughter. CIndy still considers North Carolina her home and returns frequently to visit her mother and friends. LaHoma Smith Romocki graduated from Hillside High School in 1975. She completed her undergraduate studies at Duke University and received both her masters and doctoral degrees in public health and mass communication at the University of North Carolina at Chapel Hill. In the ’80s, she was a Peace Corps volunteer in the Central African Republic and recently completed a tour as Peace Corps Country Director in Cameroon, Central West Africa. LaHoma is currently an associate professor of Public Health Education at North Carolina Central University and has an appointment as an adjunct associate professor at the Gillings School of Global Public Health at UNC-CH. She lives in Granville County, N.C., with Tim, her husband of 30 years. They have two adult childrenand her parents live close by, along with a large network of beloved family members. The school careers of two teenage girls who lived across town from each other ––one black, one white–– were altered by a court-ordered desegregation plan for Durham, NC in 1970. LaHoma and Cindy both found themselves at the same high school from different sides of a court-ordered racial “balancing act.” This plan thrust each of them involuntarily out of their comfort zones and into new racial landscapes. Their experiences, recounted in alternating first person narratives, are the embodiment of desegregation policies, situated in a particular time and place. Cindy and LaHoma’s intertwining coming of age stories are part of a bigger story about America, education and race--and about how the personal relates to the political. This dual memoir covers the two women’s life trajectories from early school days to future careers working in global public health, challenging gender biases, racial inequities, and health disparities. 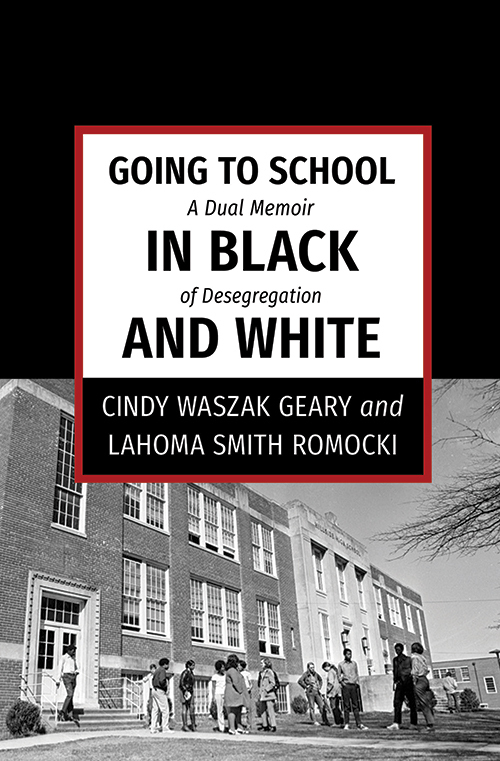 LaHoma and Cindy tell their stories aware of the country's return to de facto school segregation, achieved through the long-term dismantling of policies that initially informed their school assignments. As adults, they consider the influence of school desegregation on their current lives and the value of bringing all of us into conversation about what is lost or gained when children go to school in black and white.